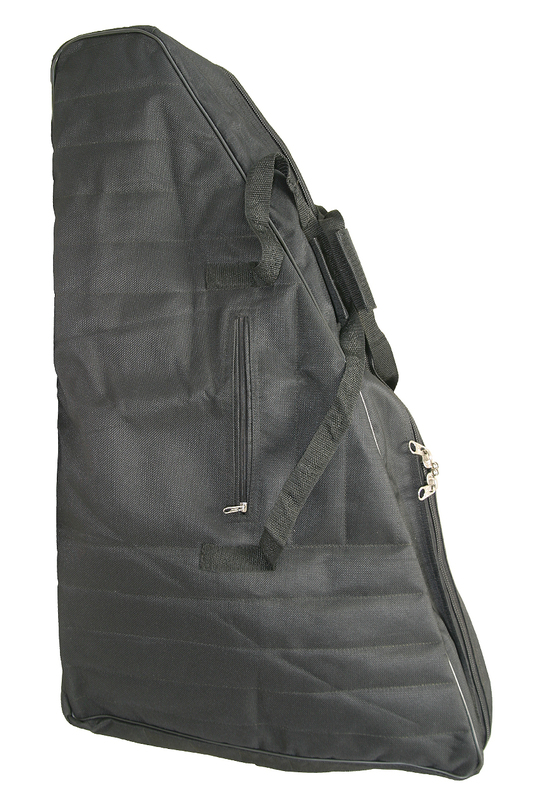 Roosebeck 32 x 30 Inch Pixie Harp™ Gig Bag Nylon Padded HPNC. Nylon padded quilt carrying case for storage or travel. Approximate measurements: Back 30", Tuning Arm 19", Pillar 32", Base Width 8"